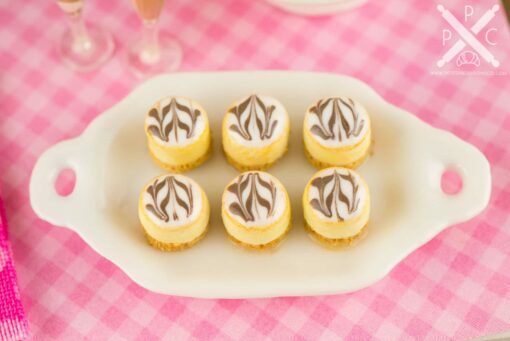 Dollhouse Miniature Marbled Cheesecake Bites on Platter - 1:12 Dollhouse Miniature - The Petite Provisions Co. 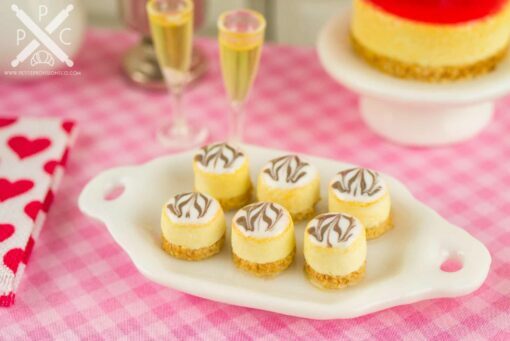 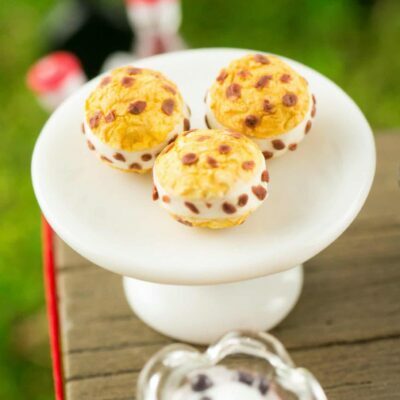 Celebrate Valentine’s Day with a decadent dessert – marbled cheesecake bites! 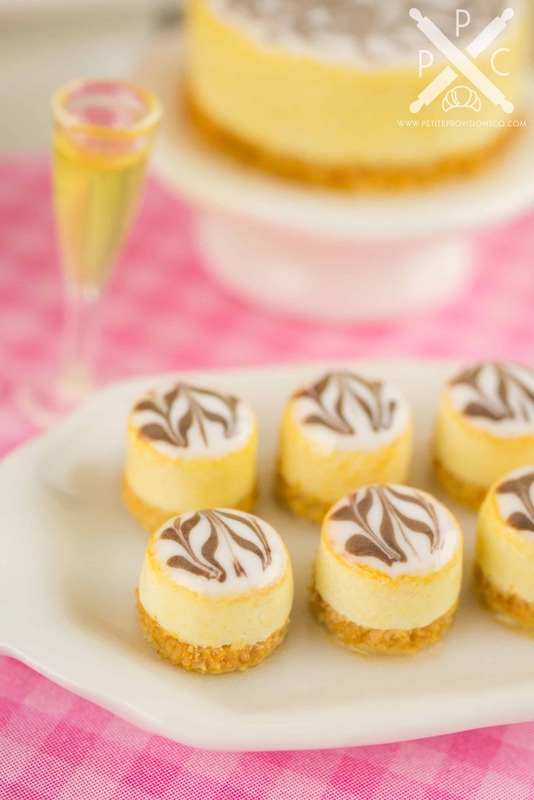 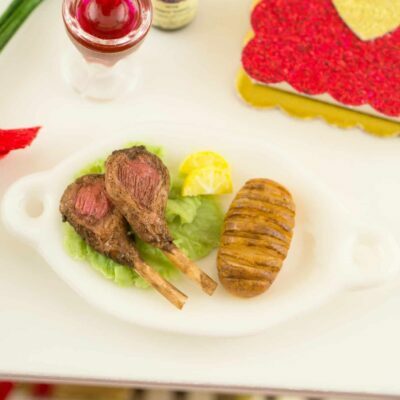 Rich, creamy and utterly delicious, this dessert is perfect for sharing on Valentine’s Day! 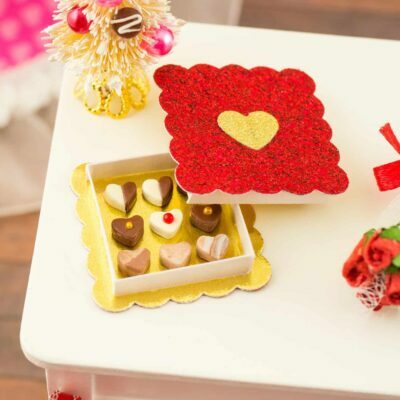 Whether you have a dollhouse or just love all things tiny, these bite-sized sweets are too cute to resist! A half-dozen handsculpted cheesecake bites topped with marbled chocolate on a white ceramic platter. 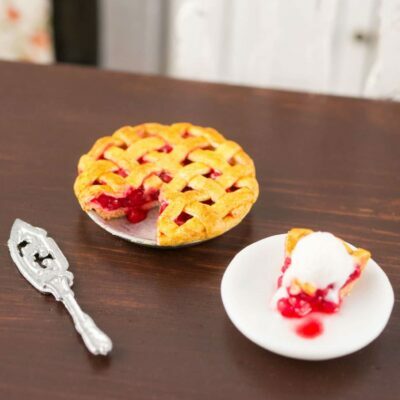 The platter measures about 1-3/4″ long (handle to handle) and 15/16″ wide. Cheesecake bites are permanently affixed to the platter.